I welcome my Republican opponent, Dusty Johnson, who is finally joining the fight against the damaging set of policies that have placed our farmers and ranchers in the cross-hairs of a trade war. I have been a strong and consistent voice against the tariffs. While we combat trade violations, we should do it the right way: in a deliberate, methodical manner. The Constitution provides that only Congress can impose tariffs, which are a tax. They did this because they believed no one person – not even a president – should possess the power to tax, which, as we know, comes with it the power to destroy. That's why, months before the tariffs were actually imposed I called for Congress to retake the authority which it can do with a simple vote. Our own congressional delegation only wrung their hands but were silent on the floor of Congress. Dusty Johnson was silent also, apart from reciting platitudes; he lacked the conviction to stand for South Dakota producers. As I stated back in April, trade wars never end well. I continued to set out that same position over the following months. Congress has no authority to undo the president's actions, because they lawfully gave him the authority to act regarding tariffs. Dusty Johnson knows this as well as I. So when Dusty claims — as he did in an opinion editorial – that I urged that Congress intervene and withdraw — unilaterally removing our tariffs with no assurances that China would remove theirs, he is knowingly stating something that isn't true. It's disappointing politics as usual, and more partisan finger-pointing. We can only see to it that reckless tariffs aren't imposed in the future. Which takes us again to Dusty. What he isn't telling you is that he recently reversed position and now agrees with me that Congress should retake from the president the authority to impose tariffs under the law he acted upon to impose the steel and aluminum tariffs. Why is he hesitant to point that out? When I study agriculture issues, I always look at how it impacts family farmers rather than how the winds of politics are blowing at a given moment. The trade war – as I and many others predicted, has lowered commodity prices, driving soybeans down over $2 a bushel. With an anticipated bumper crop in the state of nearly 300 million bushels, the losses to the soybean crop alone approach $750 million. We must prepare for difficult days next spring, when farmers seek new contracts for their crops and also meet with bankers about operating loans. So much of what family farmers and ranchers encounter is out of their control. They shouldn't have to deal with the unexpected calamity of a trade war also. It's the duty of our sole member in the House of Representatives to stand up for them and all South Dakotans and not carry water for Washington politicians. I will be the strong, independent voice in Congress that South Dakota family farmers and ranchers need and deserve. 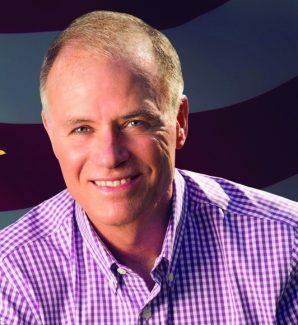 Tim Bjorkman of Canistota is a fifth-generation South Dakotan and a former circuit court judge. For more information, go to http://www.timbjorkman.com.